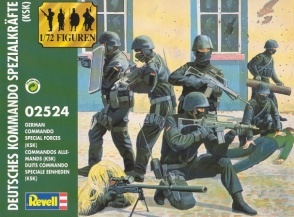 02524German Commando Special Forces (KSK). RELEASED 2002. 46 unpainted plastic figures. 12 different Poses. Material Plastic.